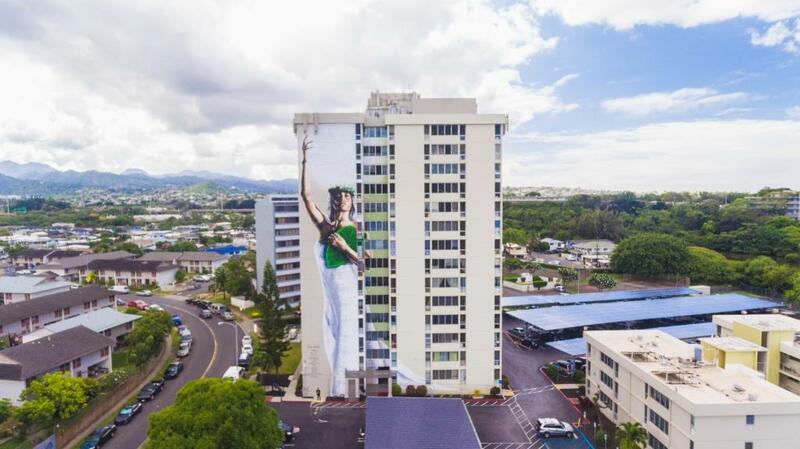 Located in Aiea, Hawaii, this 14-story unit block has been completely renovated to keep up with modern trends. 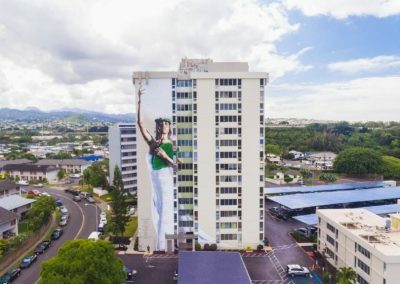 The Halawa View Apartments has been fitted out with Breezway Louver Windows with 6” clear glass blades to provide uninterrupted views out onto the beautiful harbor along with the benefits of allowing fresh coastal breezes to flow in to keep occupants cool and comfortable without the need for air conditioning. 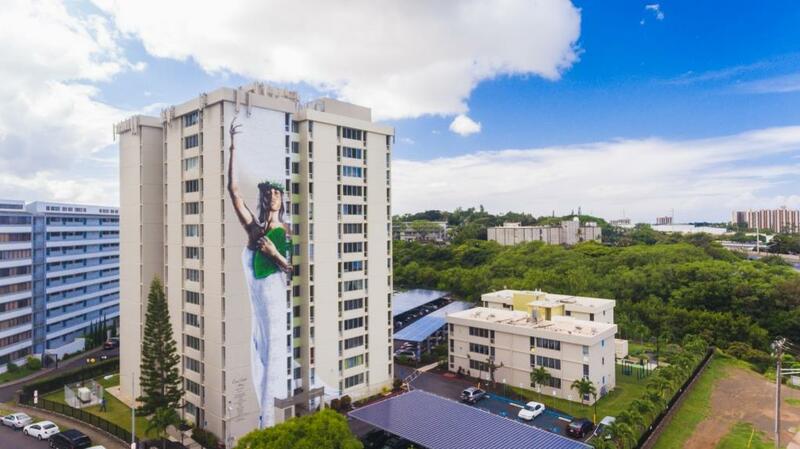 All units are individually owned and have had inside screens installed to help protect occupants from bugs and insects. 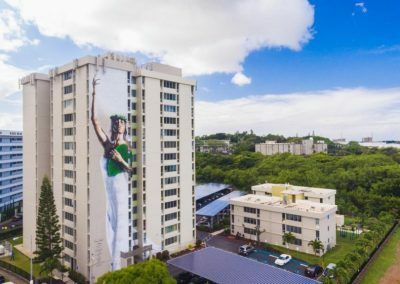 By installing high performance, Breezway Louver Windows into this apartment block, the tight sealing not only provides protection from wind and water, but also acts as a noise barrier from local traffic and neighboring balconies. 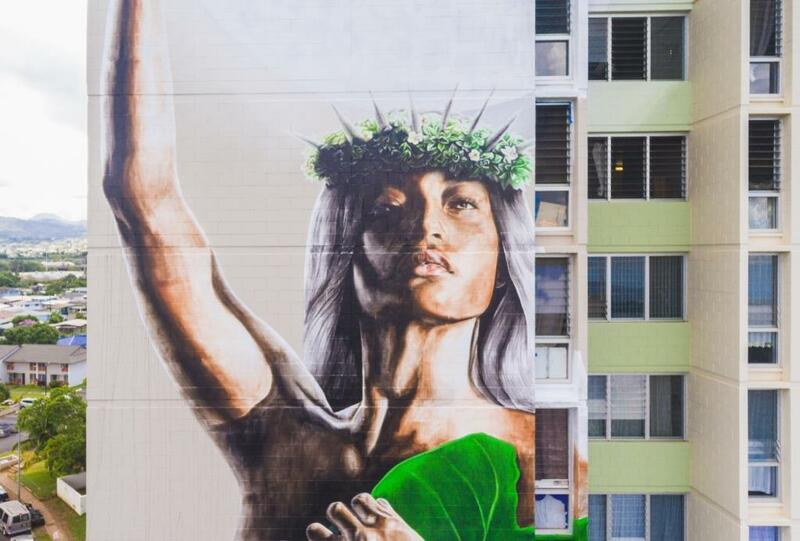 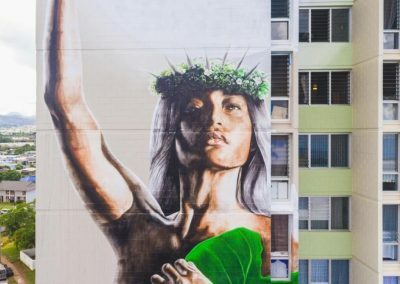 A local artist, Kamea Hadar, had the honorable opportunity to paint a mural featuring a Hawaiian Moon Goddess Hina, the largest portrait mural in the state on an Oahu building.